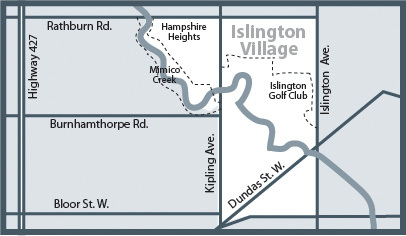 Islington Village is an area with a small town feel and upscale amenities. Residents enjoy a variety of homes on mature treed lots, access to parklands, a historic shopping centre and easy access to TTC and GO Transit. Homes in this area were built mostly between 1930 - 1960 with some custom built newer homes blending well with the existing architecture in the neighbourhood. 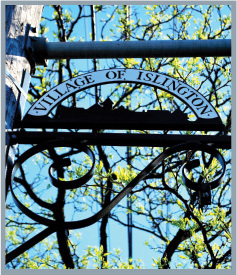 Dundas St. is home to the Islington Village shopping district which includes a good selection of restaurants, cafes, retail stores and more.